Capturing and logging of live camera metadata coming from one or multiple cameras. Organization of camera metadata and look information in the new new Shot Library, and export as Shot Reports. Monitoring of live camera metadata and settings directly in LiveGrade Pro. New native video scopes to analyze live video, frame grabs and recorded clips. Custom keyboard shortcuts for any action in the main menu. 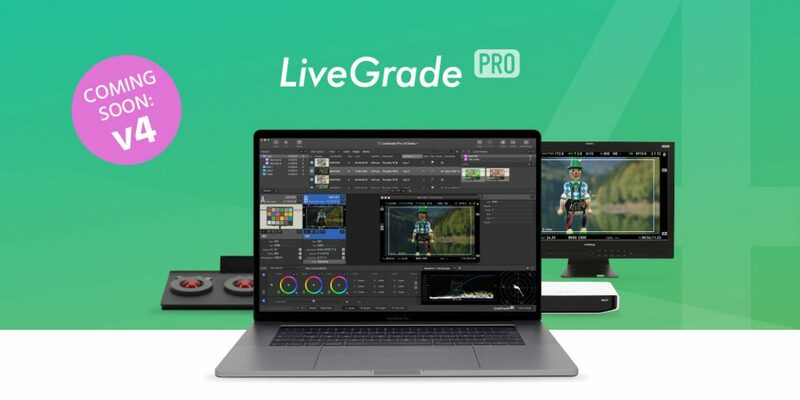 Additionally we are releasing a public beta of LiveGrade Pro version 4. The beta gives users immediate access to all new features. It can be downloaded here: https://pomfort.com/livegradepro/try/.